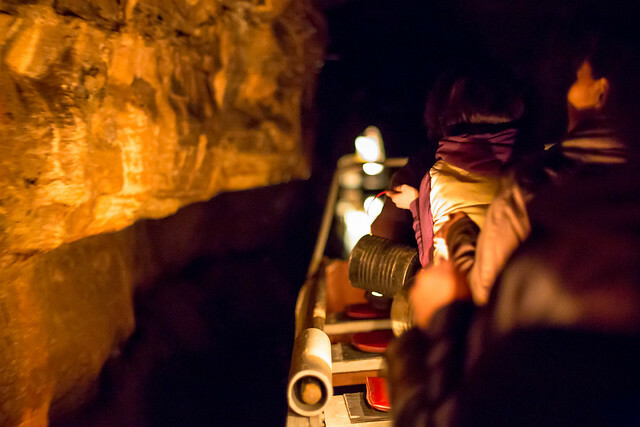 It is Saturday night and I’m 160 feet below the surface, trying not to lose sight of the makeshift lantern in front of me as we make our way back through the Winding Way. 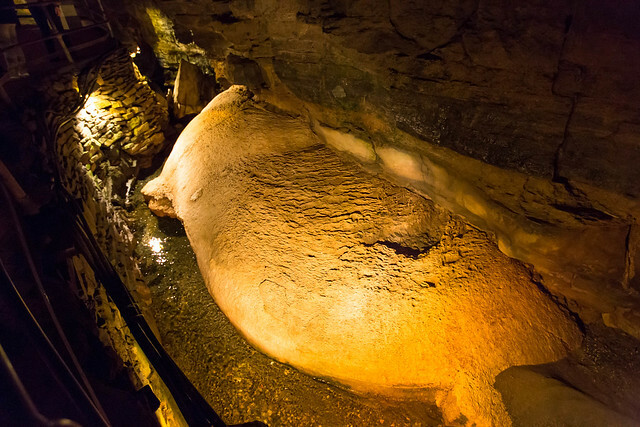 The three-foot wide series of curves and corners — formed by the retreating glaciers through limestone — is the last section of The Lantern Tour, a one hour and a half underground getaway at the popular Howe Caverns in Schoharie County, New York. If you grew up in the area, chances are you visited this six million year-old subterranean maze as a kid — it took me a few decades to catch up to this antediluvian retreat and its quiet, candlelit boat ride on the Lake of Venus. 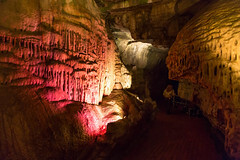 Howe Caverns is about an hour west of Albany. This famed tourist attraction is a well-oiled machine that cranks tours almost all year round. 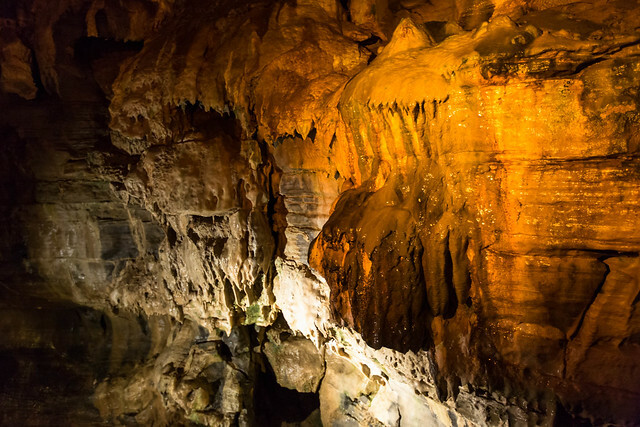 It doesn’t hurt that the cavern environment is a constant 52° Fahrenheit (12° Celsius) and 70-75% humidity. A word of advice to my fellow follicle-challenged friends out there, get ready for a lot of “Cavern Kisses” — big, sloppy, cold drops of ancient water waiting for the first opportunity to crash on your delicate cranium. Above, the Winding Way, before they turn the lights off. Howe Caverns takes its name from a farmer named Lester Howe who discovered it on May 22, 1842. Noticing that his cows frequently gathered near some bushes at the bottom of a hill on hot summer days, Howe decided to investigate. Behind the bushes he found a hole with a strong, cool breeze emanating from it. Howe proceeded to dig out and explore the cave with his friend and neighbor, Henry Wetsel, on whose land the cave entrance was located (source: Wikipedia, official site). Howe opened the cave to eight-hour (!) public tours in 1843, and, as business grew, a hotel was built over the entrance. When Howe encountered financial difficulties, he sold off parts of his property until a limestone quarry bought the remainder. The quarry’s purchase included the hillside which opened to the cave’s natural entrance. 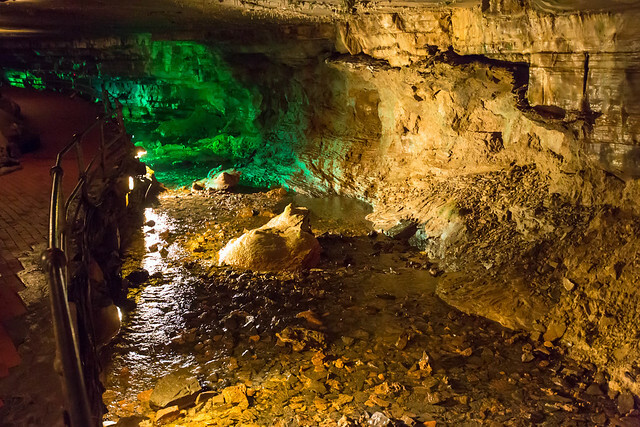 The cave was then closed to the public until an organization was formed in 1927 to reopen it. 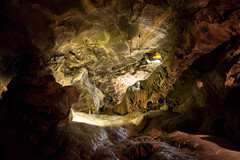 The organization spent the next two years undertaking development work to create another route into the cave. 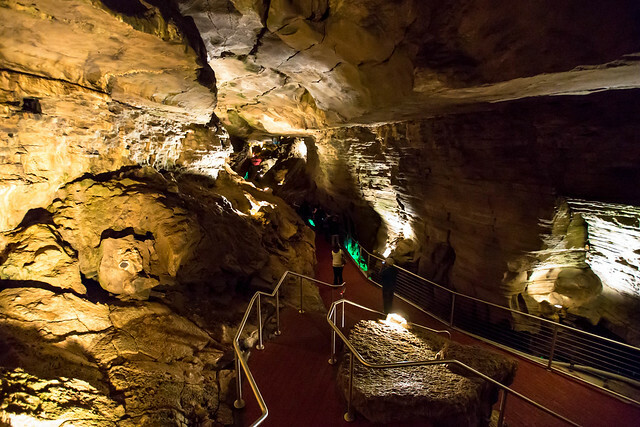 After completion of the work — including elevators, brick walkways, lighting and handrails — the cave was reopened to visitors on Memorial Day 1929. 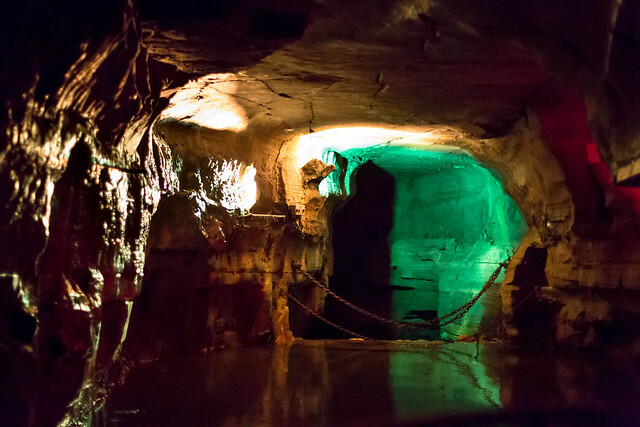 A new era began for Howe Caverns on April 19, 2007 when the 220 shareholders of Howe Caverns, Inc. sold the company to two local men, Charles M. Wright and Emil J. Galasso. Both men vowed to invest several million dollars in improvements to Howe Caverns over the coming years (source: Wikipedia, official site). The Lantern Tour is only offered on Friday and Saturday evenings, reservations required. 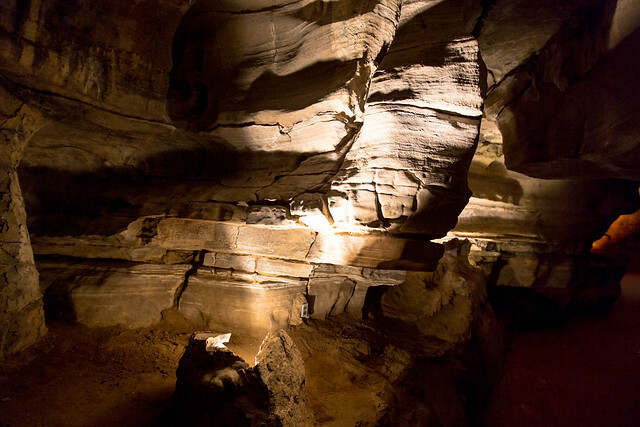 The first half of the tour is guided while the second half lets you navigate the caverns as Lester Howe did… in the dark. The galleries become even more dramatic under the flicker of a lantern. Also dramatic, smashing your head on very solid rock — be extra careful if you are more than 6’2″. The tour started in the above ground study where a replica of Howe himself shared a bit of history about the cave, and a lot about how creepy animatronics can be. After this short introduction, down the elevator and the proverbial rabbit hole we went. 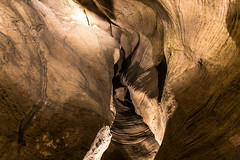 The tour is the equivalent to a 12 city block walk through an enormous main cavern, large galleries, and under huge boulders. The Sentinels, Titan’s Temple, and The Giant Formation are amongst the traditional stops, enjoy while the artificial lights are still on! 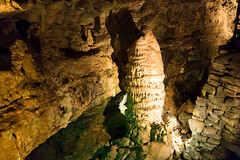 Our well-versed guide pointed out a lot of stalactites and stalagmites, including an eleven-foot tall monster, The Chinese Pagoda (pictured above). She took a few seconds to perform “The Adams Family” theme song by blowing in The Bishop’s Pulpit, an overhang connected to the massive Pipe Organ (below). Hilarity ensued. If my memory serves me well, she mentioned these structures only grow one cubic inch every 100 years. I’ll let you do the math. 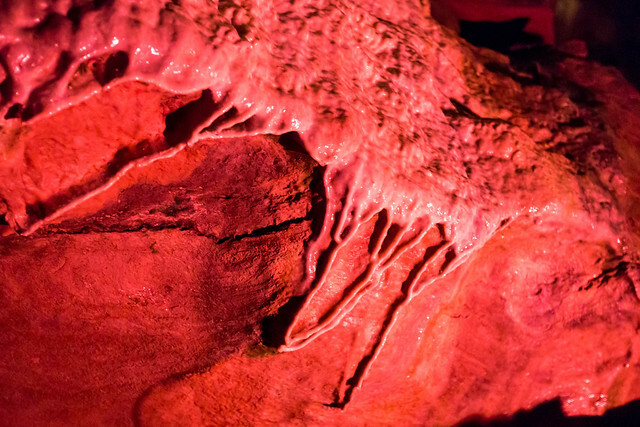 Flowstone (above) is formed in much the same way as stalactites and stalagmites, except the water flows down the cavern walls. 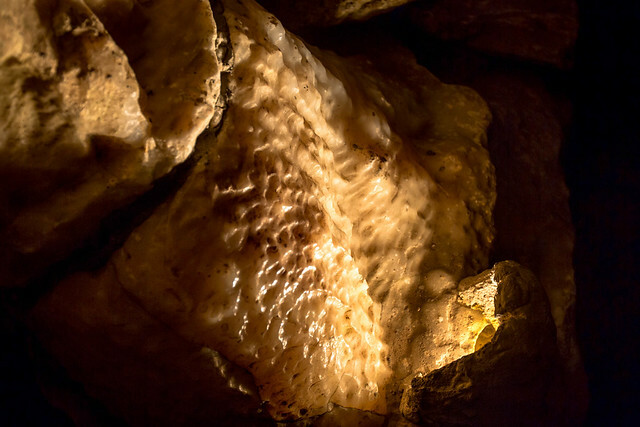 This rock formation resembles sheets of frozen, rippling ice. 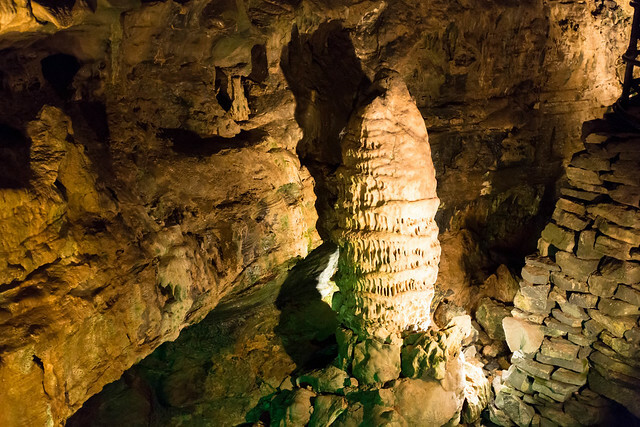 Other minerals in the water that carry the limestone give flowstone, stalactites and stalagmites their colors. Rust-colored formations are caused by the presence of iron in the dripping water… green is from waterborne copper… grey indicates the presence of aluminum oxide… yellow comes from sulphur… and pure calcite makes lovely, milky-white formations (source: official site). 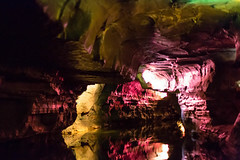 With the exception of a few bats near the natural entrance, moss growing around the electric lights, and bacteria in the underground stream, there is little animal or plant life in Howe Caverns. Unfortunately, the bats aren’t doing so hot. 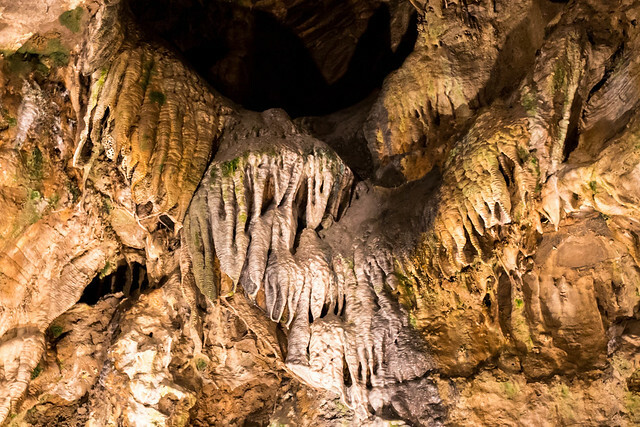 White-Nose Syndrome is killing large portions of various bat populations in the United States as they hibernate in caves and mines. Bats are losing their fat reserves that are needed to survive hibernation. While the cause is unknown, WNS gets its name because of the telltale white fungus growing on the noses of infected bats. Mortality rates of 70-100% have been documented in the first year in many animals found to have WNS. You can help by donating at the Ticket window and all cash registers. Several sections of the cave overlook the small River Styx. As we progressed following the stream, we finally reached the shores of the Lake of Venus, a narrow stretch of water packed with even greater opportunities to either break your skull or end up in 42-degree water. 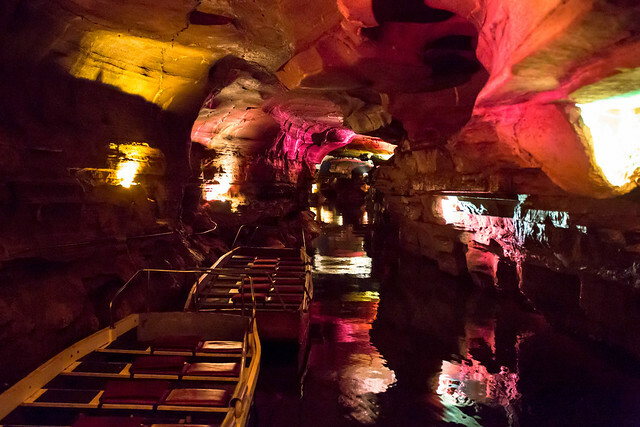 I kid, this is a pretty safe, almost whimsical 15-minute boat ride downriver to the edge of darkness so you can peer out to where no one has gone in over 100 years. Beyond this point lie about 2,100 feet (640 m) of dark, unconditioned, and destroyed caverns which lead to the quarry and the natural entrance. 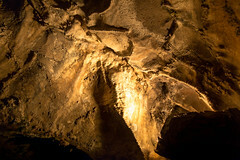 Cavern officials plan to open up the natural entrance of the cave to public tours in the future. Once we reached the edge of the lake (pictured below), our guide turned all the lights in the cavern off. Picture the darkest night, then put a blindfold on and your head in a bucket (also known as: my other Saturday nights). 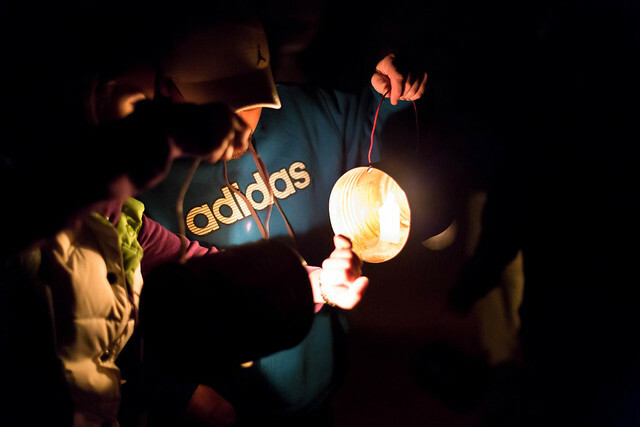 She handed us a dozen makeshift lanterns — a candle affixed to a tin can — before we traveled back to the shore. I really enjoyed that part, the slow progression over the murky waters, the few moments I tipped the boat while ducking to avoid a rock overhead, and the faint sight of a dozen candles in the distance. 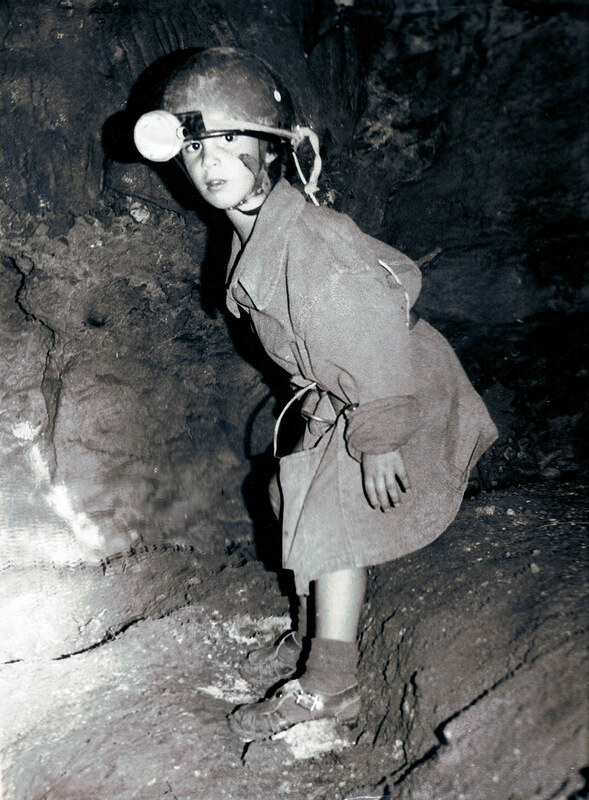 As we set foot on firmer ground, our guide made good on her promise and left us to our own devices. We waited for a few people to get a head start and started our journey back in the dark. This might be a good time for me to suggest you watch “The Descent”, a great film that follows six women who, having entered an unmapped cave system, become trapped, and are hunted by subterranean flesh-eating humanoids. Just sayin’. 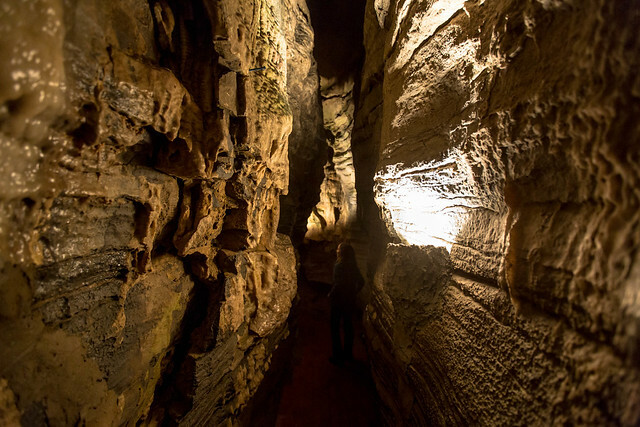 I feel we lost track of space and time for a while — this is quite a fun experience — but eventually we walked through the final 500 feet of solid limestone known as the Winding Way and ended up at the elevator. Once the flock reassembled, we emerged to the surface for a hot cocoa. Back to 2012. Howe Caverns also offers a Traditional Tour, which sounds quite similar to the Lantern Tour — minus the candles and the hide-and-seek in the dark — and The Adventure Tour, which emulates natural cave exploration with the assistance of a guide in a section of the cave that had not previously been open to the public. Visitors are equipped with a suit appropriate for the muddy and cold journey, and there is no artificial lighting on this part of the cavern. Also, flesh-eating humanoids. 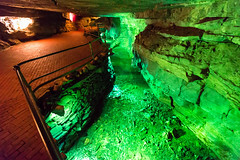 There is a bit more to do on the surface too; mine for gemstones, crack open a geode at the Howe Caverns Mining Co., try the zip lines, ropes course, climbing wall, go road biking. Oh, and the Ogo Balls — they look evil. 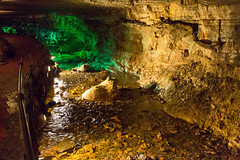 One of my favorite spot, Vroman’s Nose, is pretty close, if you are up for a double-feature; not too distant either, the Secret Caverns and its underground waterfall. Update: my mother just sent me this. I was young and dashing in the 70′s! Serious, ancient gear going on. 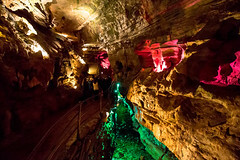 Howe Caverns is less than an hour west of Albany, 255 Discovery Drive, Howes Cave, NY 12092 (check the official directions page). Open Mon – Sun: 9:00 am – 6:00 pm (see hours). Tickets can be bought online or you can call (518) 296-8900. Find more info in the FAQ, the Caverns on Facebook, or on Yelp. Dress appropriately for maximum comfort. Bring a light jacket and wear comfortable shoes, it’s a tad slippery. 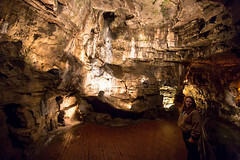 Howe Caverns is the largest show cave in the Northeast, with about 200,000 visitors each year. 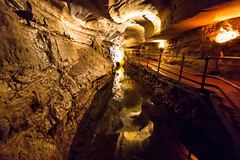 It is reportedly the second most-visited natural attraction in New York State, with Niagara Falls taking the number one spot. This entry was posted on Monday, April 23rd, 2012 at 5:36 pm and is filed under Featured, Nature. You can follow any responses to this entry through the RSS 2.0 feed. You can leave a response, or trackback from your own site. Stephen Alvarez (A NatGeo photographer) has an excellent series of cave photos you might like, you can see some on his website/blog: Earth From Below. 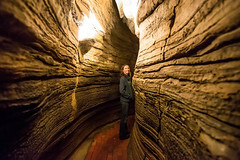 Yup I like this guy, I remember re-posting (and commenting on) his gorgeous photo of the Mangina cave last year. He has an extensive lighting rig, it’s pretty crazy and out of practical reach for most of us (not to mention actually getting in and out of these places). But there is an obvious passion there that really makes the work shine. Terrific shots! Your post really takes me back to my childhood. I’m going to put this on my bucket list (again). I would love to see it from my adult POV. You did a super job in the low light conditions. Well done.